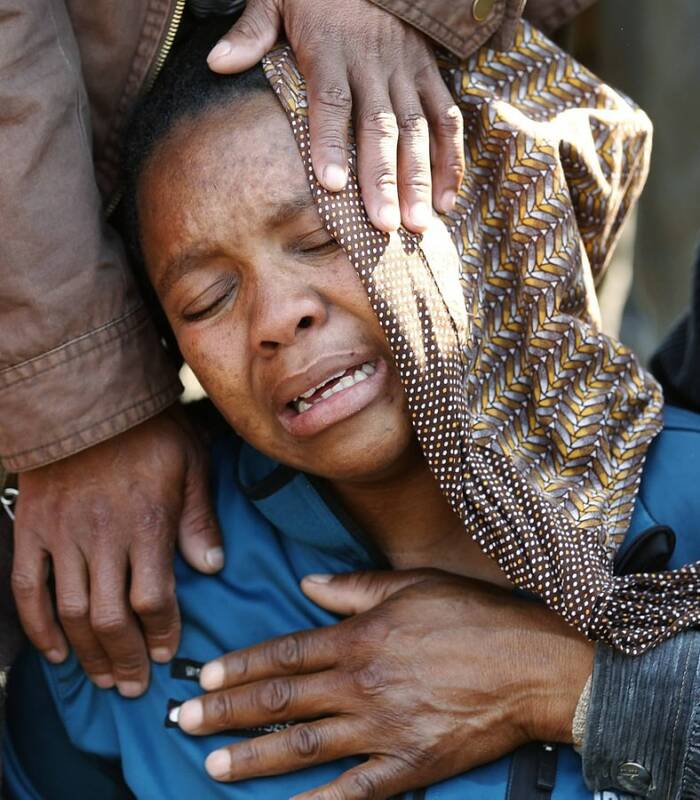 A woman mourns during a memorial service for the 44 people killed in a wildcat strike at Lonmin's Marikana mine on August 23, 2012 in Marikana, South Africa. 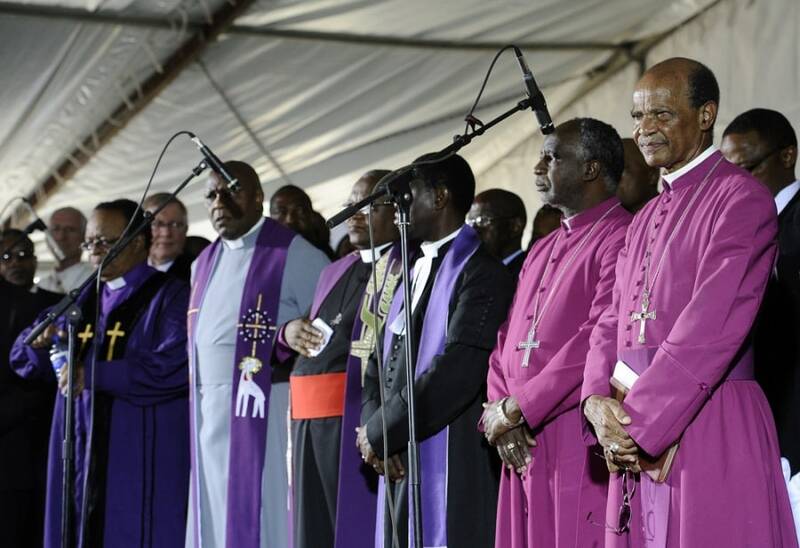 Religious leaders attend a memorial service in Marikana on August 23, 2012. Workers and relatives attended a memorial service on Thursday at the South African mine where labor violence left 40 miners, two police and two security guards dead last week. 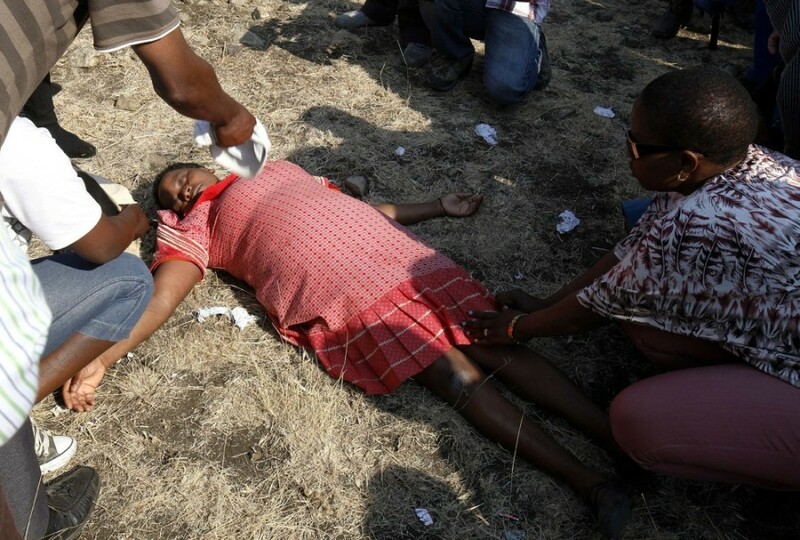 The service at Lonmin's Marikana mine was expected to be the focal point during a day of mourning that will stretch across the country, as many of the victims were migrant workers whose bodies have already returned to their home villages, Agence France Presse reports. 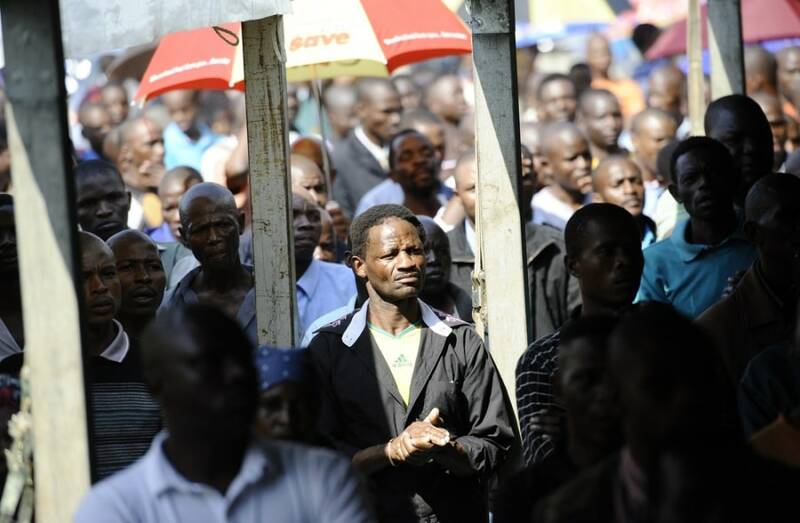 Hundreds of people attend a memorial service in Marikana on August 23, 2012. A relative is comforted ahead of memorial services for miners killed during clashes at Lonmin's Marikana platinum mine in Rustenburg on August 23, 2012. 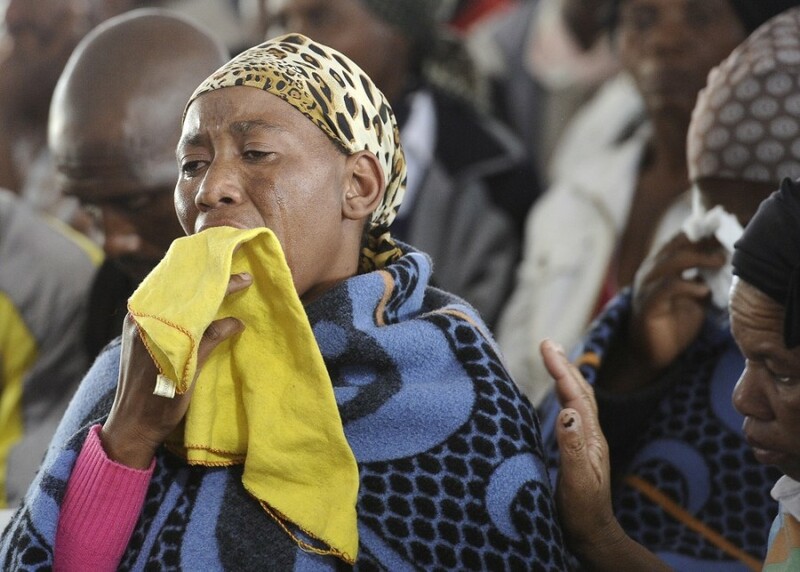 A grieving relative of a miner killed during clashes at the mine is attended to, ahead of a memorial service in Rustenburg on August 23, 2012.